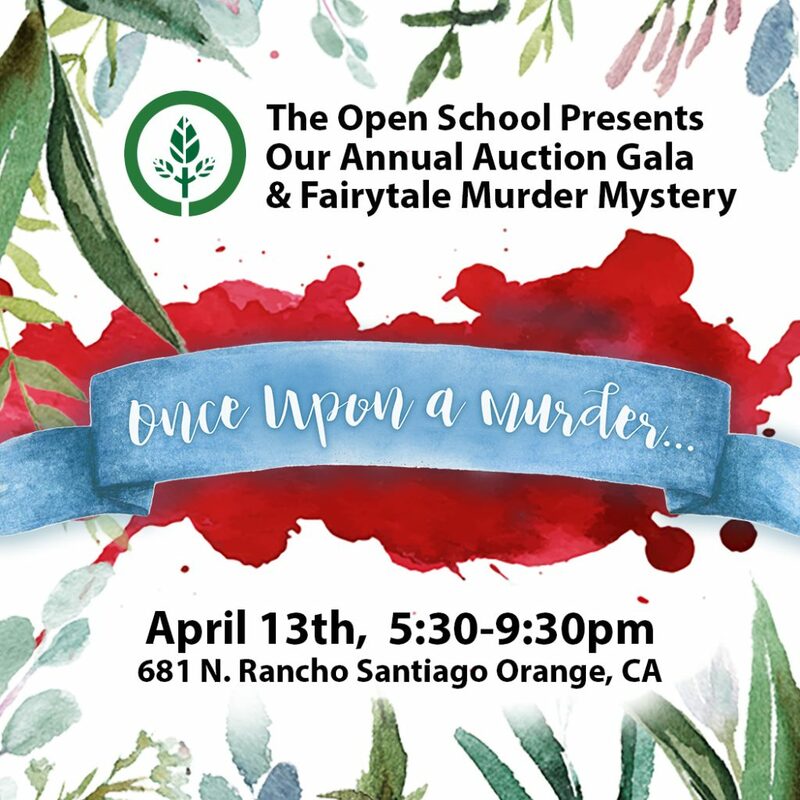 You are invited to our 3rd Annual Murder Mystery and Silent Auction supporting learner-centered education in Orange County. This unique event blends the fun of a murder mystery and the excitement of an auction. You will be assigned a character with a backstory and goals, and will attempt to solve the mystery with the clues you uncover from the other guests. Tickets include appetizers, dinner, drinks, and entertainment. A selection of interesting, unique, and valuable items will be available for auction. Don’t miss this one-of-a-kind event to support an amazing school. You can no longer purchase tickets online, but if you are still interested in attending, email Cassi at cassi@openschooloc.com to make arrangements. If you can’t make it to the event, or if you want to support The Open School above and beyond, you can become an event sponsor, or just send us a donation of any amount using the Donate button at the bottom of this page. After you have filled out the sponsor form, use the button below to send us your donation. Thank you so much to these generous donors! Give your wife or mother an early Mother’s Day present by taking her to the Wyndham Resort in Indio for the weekend of May 3-5 (pictured above). The whole family can fit in the luxury 2-bedroom suite, which sleeps up to 6 comfortably (but can hold 8). Enjoy the two incredible pools, 5 hot tubs, on-site spa and golfing, and the resort’s very own Lazy River. Explore the greater Palm Desert region, or stay on resort grounds and relax. This weekend was generously provided by the Anderson Family, long time friends of The Open School. 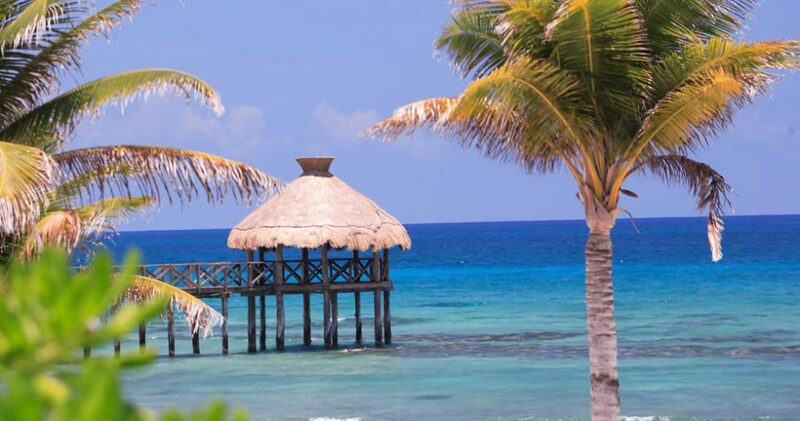 Stay in your choice of Cabo San Lucas, Nuevo Vallarta, Acapulco, Riviera Maya/Cancun, Mexico for five days & four nights at a four- or five-star resort for two. Immerse yourself in the natural wonders, scenic ancient ruins, soaring cliffs, charming people, inspired art, superb food, tangy tequila, and parties along the playa in Mexico! Regardless of the destination you choose, you’ll stay in a four- or five-star luxury hotel, replete with convenient amenities to make your stay everything you desire. Dichroic, fused glass, and silver necklace signed by the artist, and matching earings. Dichroic, fused glass, and silver necklace signed by the artist.